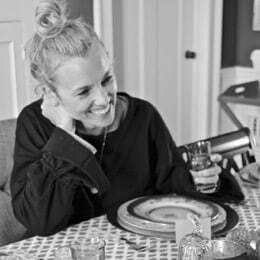 Sometimes when I’m wandering the aisles at Homegoods and Marshalls, I notice two items and think, aha… these go together like peanut butter and jelly… like Cheetos and Prosecco…like scrunchies and top knots. 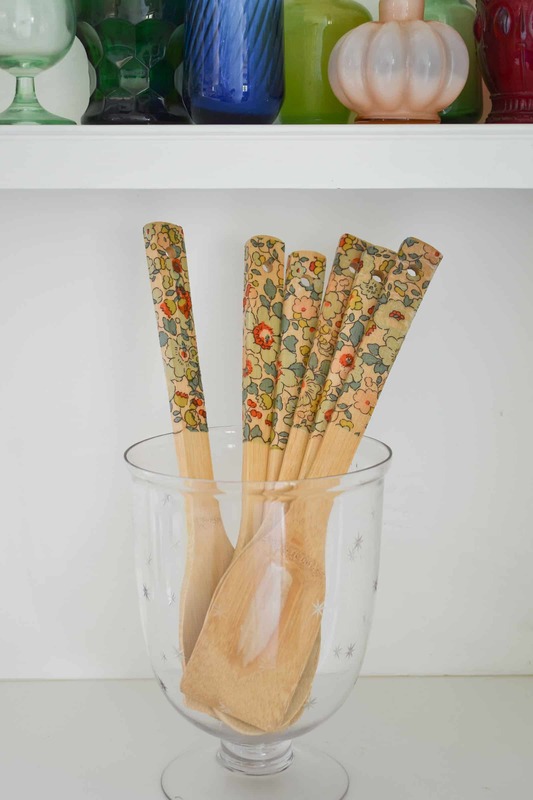 When I saw these adorable Liberty print napkins and these $3 bamboo utensils, they were meant to be! 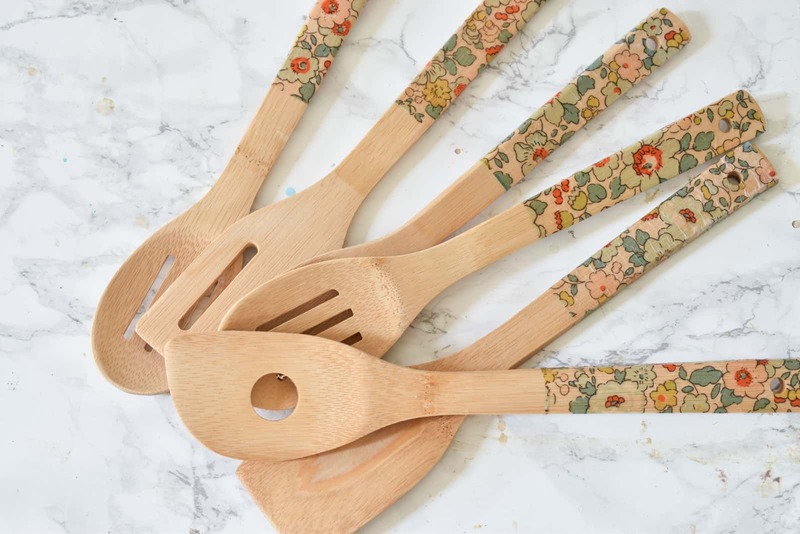 One set of custom printed wooden utensils coming right up! 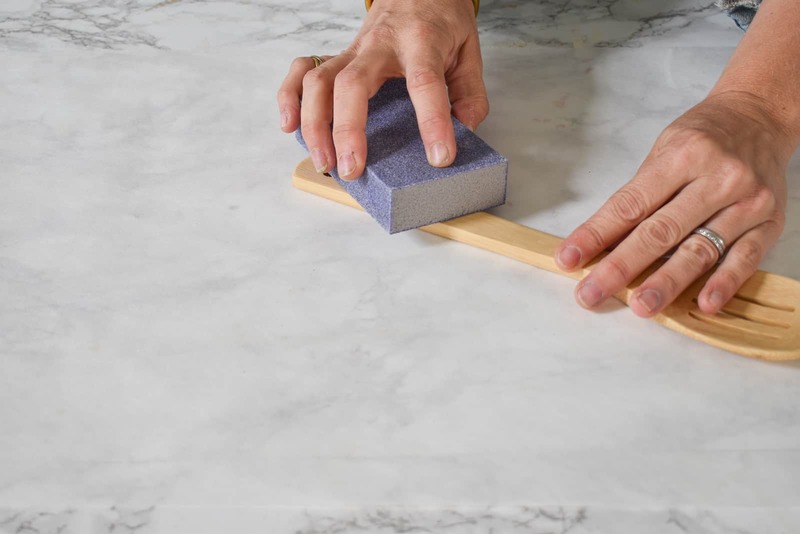 Sanding won’t take more than a few seconds…. your goal is simple to scuff up the finish on the wooden utensils just a bit. Determine how high up on the handle you want your pattern to go. Then, you’ll also have to figure out how wide around your utensils are, and trim your napkin accordingly. 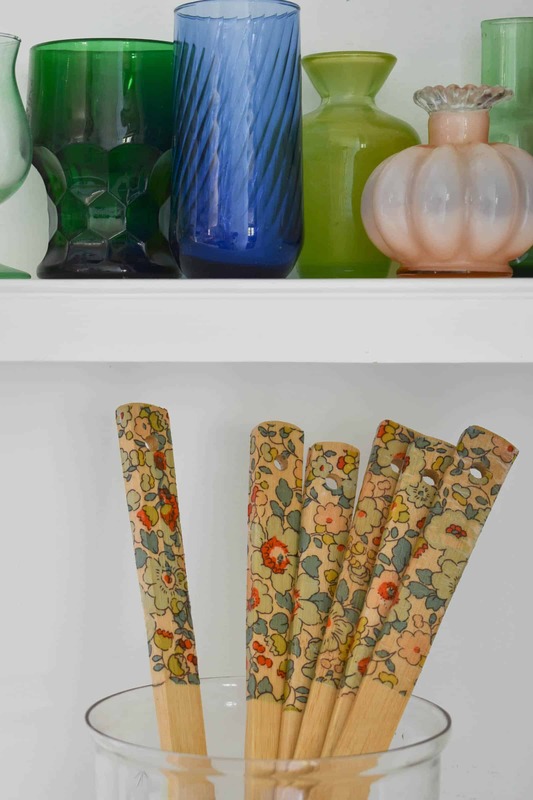 Brush a thin coat of Mod Podge or Polycrylic onto the handle. 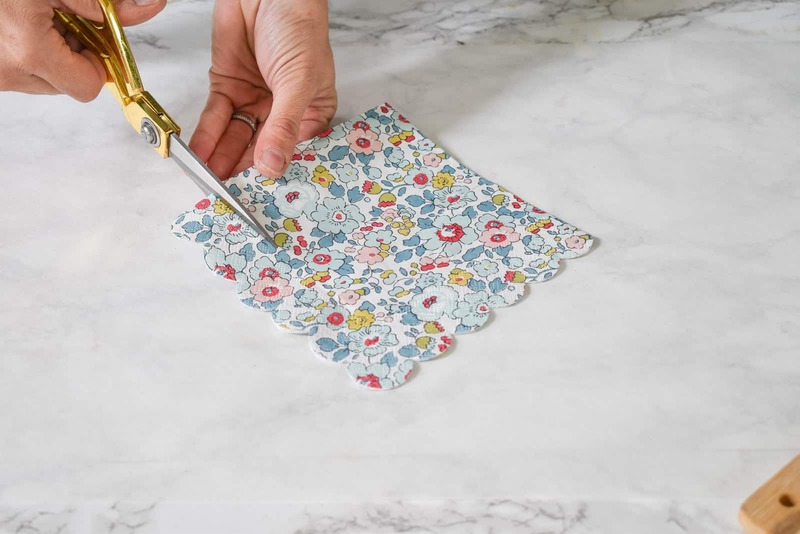 Gently place the napkin on top and brush a thin coat of Mod Podge/ Polycrylic over the napkin. I find that it’s easier just to use my finger to smooth out the napkin. Be careful as you smooth it out… the material is super thin so it’s easy to tear it. Once the glue has dried, go back and give the handles a few more light coats of Mod Podge/ Polycrylic. 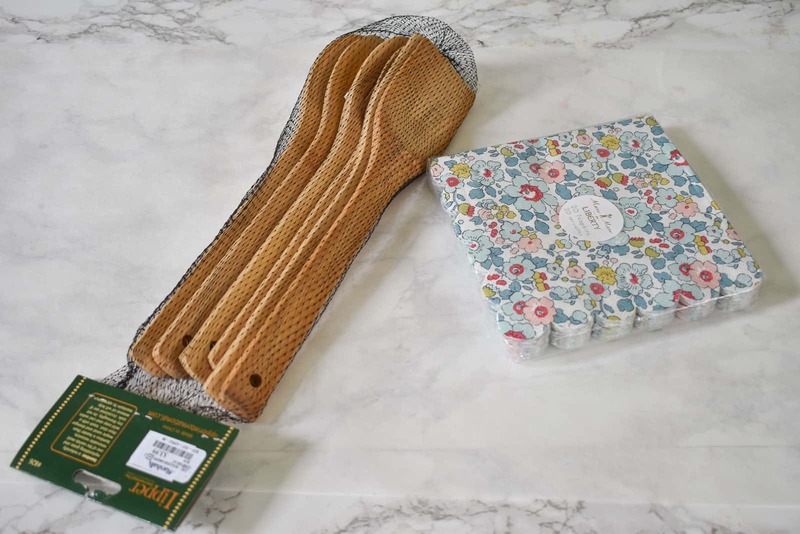 Note: these utensils can’t go in the dishwasher, but if you use a heavy duty mod podge like this (affiliate link), they should be ok for light hand washing. $3 utensil makeover using sweet paper napkins and sealer. I suspect this tutorial was pretty self explanatory, but if you like to see it demonstrated… here’s a vid for ya!